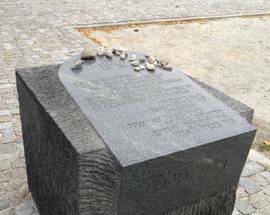 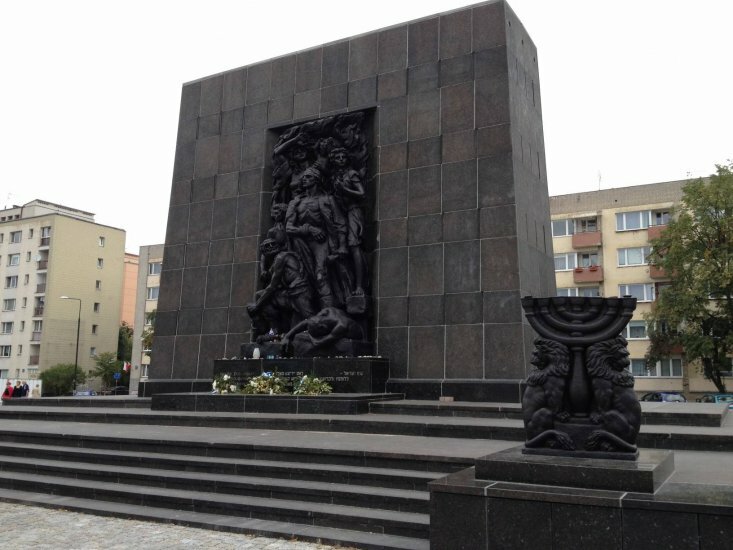 In the middle of a large, attractive square beside the POLIN Museum, you'll find the Monument to the Ghetto Heroes, which commemorates the first Warsaw Ghetto Uprising of 1943. 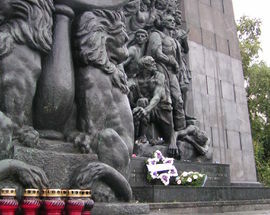 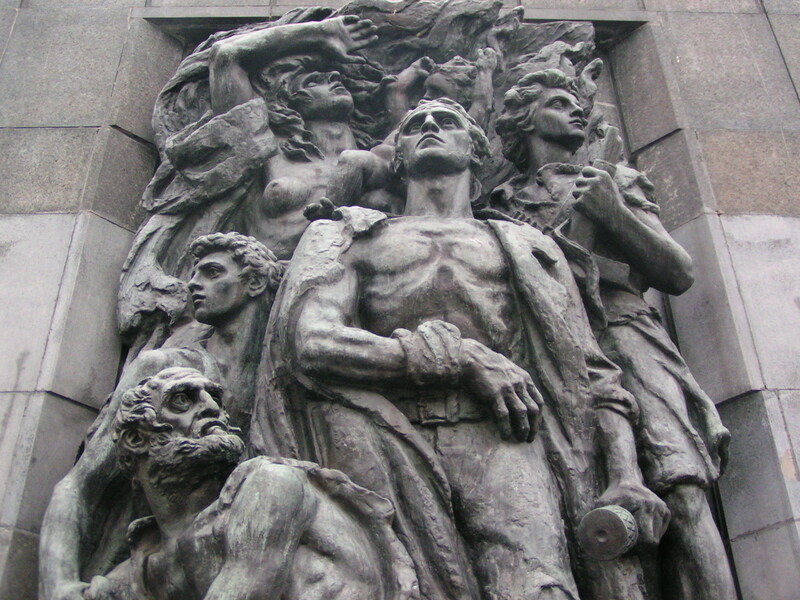 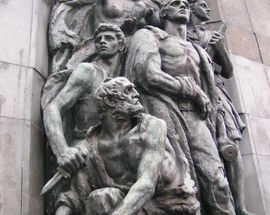 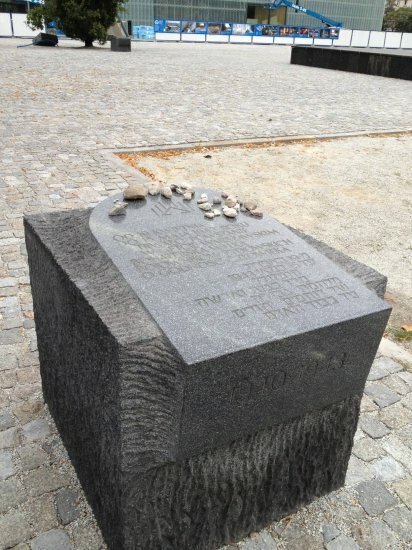 Designed by Leon Suzin and sculpted by Nathan Rapoport in 1948, close by stands an earlier memorial tablet to the Ghetto Heroes, also by Suzin, which was unveiled in 1946. 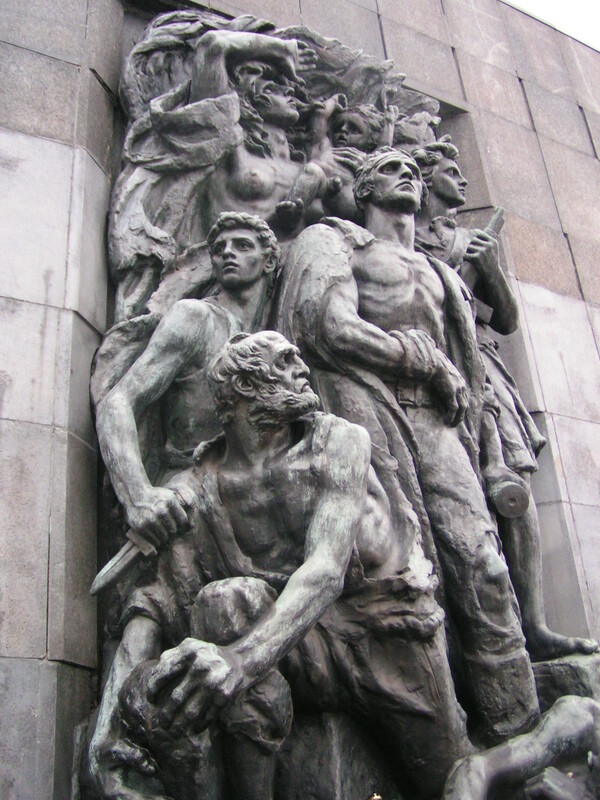 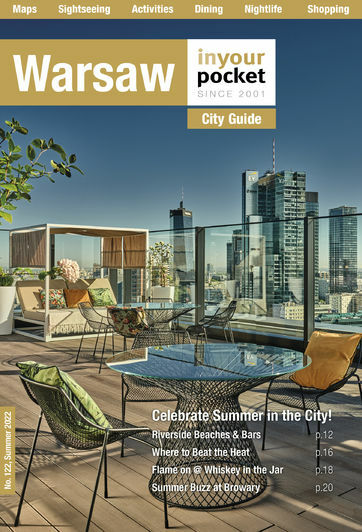 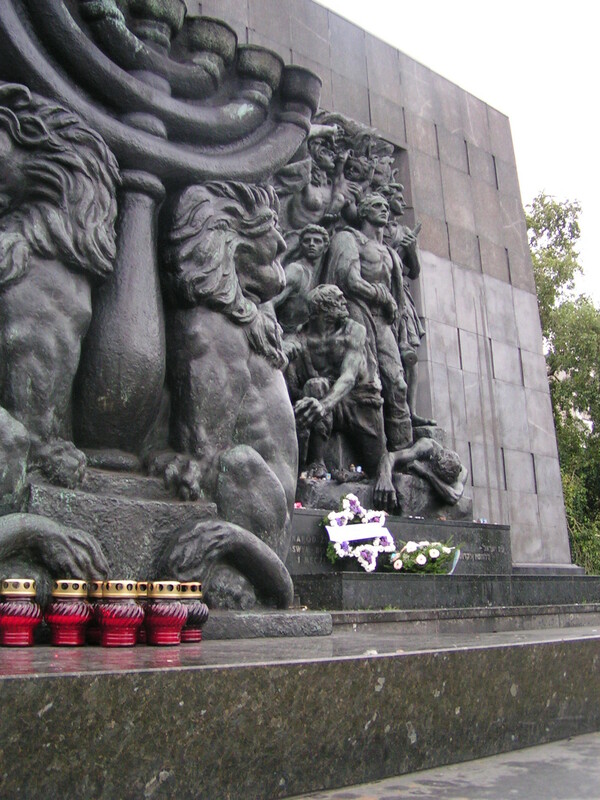 Interestingly, stone used in the monument had been brought to Warsaw by the Nazis and was to be used in architectural projects planned for a new Warsaw by Hitler's architect, Albert Speer. 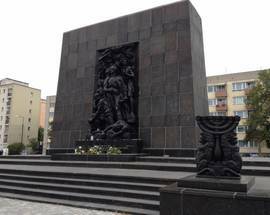 In the square, you'll also find a statue of Jan Karski, a Polish resistance fighter famed for informing the allies about the existence of Nazi death camps and the systematic destruction of the Warsaw Ghetto.